He is one of the most adapted literary figures of all times and has a very special relationship with London. 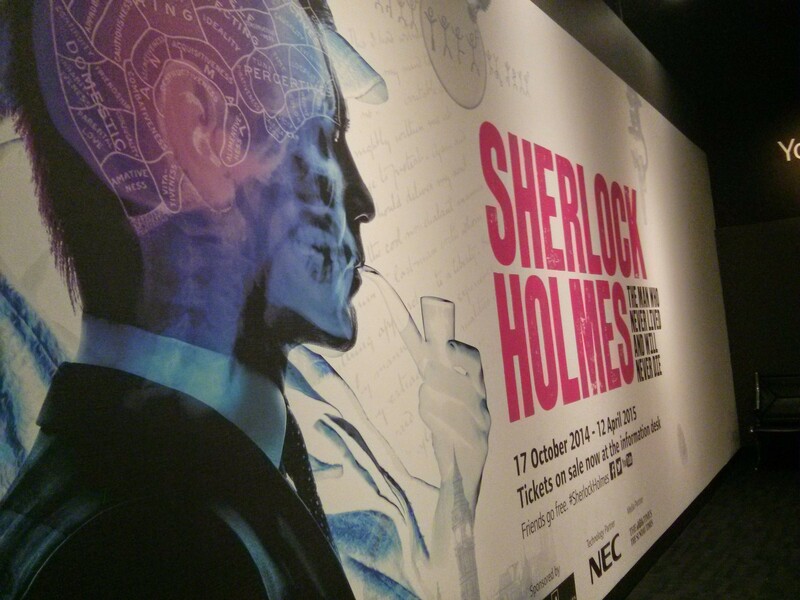 The fact that the exhibition “Sherlock Holmes – The man who has never lived and will never die” (Museum of London, till 12th April 2015) is the first since 63 years to focus on the famous detective is astonishing. But maybe it’s just the right time. There are new films and BBC aired the third series of “Sherlock” with Benedict Cumberbatch and Martin Freeman as the famous Sherlock Holmes and Dr. John Watson this year. The fourth will be filmed 2015 including a Christmas special and will hopefully hit telly not too late in 2016. But we wouldn’t have neither of these films without Sir Arthur Conan Doyle. With the first stories published in 1887 he created a genius who baffled his readers with eccentricity, logic and a very keen observation: Sherlock Holmes, the only consulting detective the world has ever seen, was always ahead of his time. 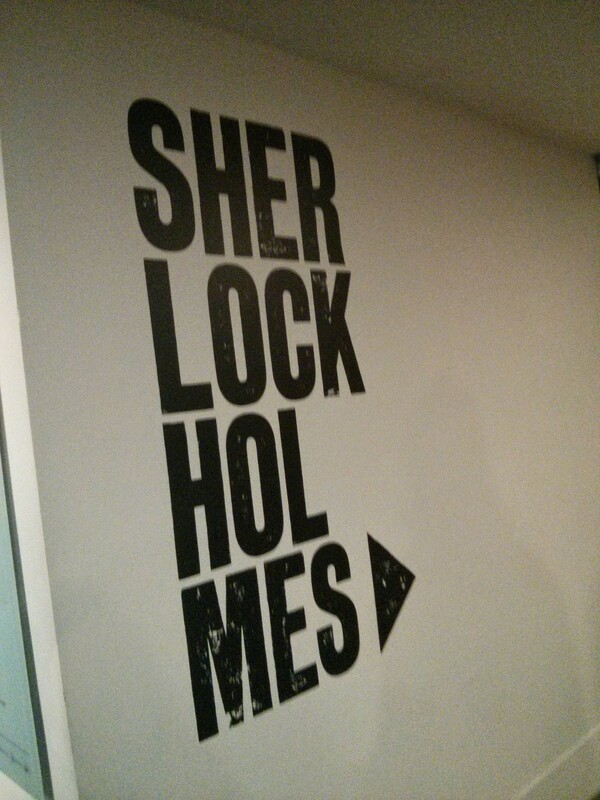 But Conan Doyle created much more. He placed his figure right into Victorian London, the city which played the third major role besides Holmes and Watson in most of the 56 short stories and two novels, as some critics say. A city full of fog and hansom cabs which in the exhibition comes to life with the help of early photographs and paintings. Among them is the Charing Cross bridge of Claude Monet and the huge painting of George William Joy called “The Bayswater Omnibus” which I found very impressive. Sherlock Holmes’ London is both a fiction and reality. The famous address 221B Baker Street is fictional whereas Baker Street does exist. And so does the tube or West London. London was a city in transformation. Houses were demolished, streets widened and so the London we know today slowly came to life. Films prove the fact that London about 1900 was a city buzzing with life and people. “It took me about two years and a lot of negotiation to secure the pieces which appear in the exhibition”, says Dr Pat Hardy, Art Curator at the Museum of London. “I selected paintings which made the visual points we are trying to get across and which resonate with Sherlock Holmes, for example those relating fog, mystery, busy streets, hansom cabs, trains, suburbs, grand architecture and the sheer size of London”.